I have finally gotten around to re-writing some of my old code and re-recording a proper demo of controlling physical objects using thoughts by interfacing an EEG headset with an Arduino. 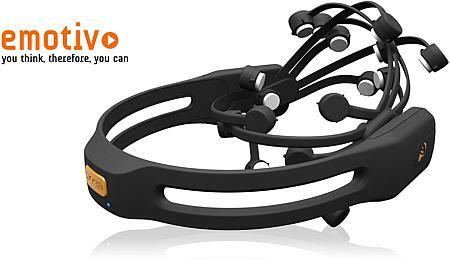 While this technology is interesting and exciting, before anyone sees this as an endorsement for this particular EEG headset, I strongly recommend reading my full review of the device below. Those of you who have no interest in purchasing such a device can simply enjoy the show 😉 . We’ve always wanted a remote of the TV-remote. [Paul] realized a mind-controlled TV-Remote which turns out to be more demanding (as we see from the video) in terms of concetration & stress, than his classical step-brother. Nice EEG headset hack. I wonder how difficoult is to port the usb dongle directly to the Arduino. Check the IR library Paul used. Read Paul full entry for a nice & full review of the device below.